America is without a doubt a nation of DIYers. And it is fun to do things on your own. Hanging a bug zapper on your patio to kill off a few stray mosquitoes is all nice and good, but what about DIY when it comes to more serious pests or those that are more difficult to kill off? Should you or shouldn’t you and do DIY insect remedies actually work. Are DIY Home Remedies for Cockroaches Really Working? Here is what you need to know about the application and effectiveness of DIY remedies for cockroach control. What cockroach species am I dealing with? Wouldn’t it be nice if there was only one kind of cockroach, yeah sadly that’s not the case. In fact, there are over 3000 known species of cockroaches crawling over the planet right now, luckily only a few of them are considered to be pests and you are most likely dealing with one of two; the German cockroach (Blattella germanica), which is the most common one, or the American cockroach (Periplaneta americana). Why are cockroaches in my (clean) home? Well, they are kind of like people. Like like to live inside where they are sheltered from the elements, have it warm and access to food. This of course leads to the problem of them taking a hold of your home, reproducing to large numbers and are extremely hard to get rid of. Having a clean home is nice, but it is no guarantee for not having cockroaches stopping by. Cockroaches are not only ugly, but they also carry potential diseases they can pass on to humans which makes them the Number 1 enemy of most Chandler homeowners. Ideally, of course, you contact and work with your Chandler cockroach exterminator, but sometimes, you just don’t want to wait until the pest crew shows up (even though Varsity has a great response time) and you may want to try some home remedies on your cockroaches in the interim. So let’s take a look at some of the options available to you and how well they work. Cockroach bait products can be split in three groups: bait stations, bait gels, and bait in granular form. Bait stations and gels are suitable for indoor and outdoors use, while granules are typically used outside only. Now what exactly are they? The bait station -which is commonly also called cockroach trap- is made up of three components. The attracting agent, the killing agent and the device that holds the two. Meaning in order to be effected, the bait station has to actually entice cockroaches to approach and then kill them on contact with a toxic substance. Cockroach bait stations have shown to be highly effective in Chandler and have helped many homeowners to get rid of those nasty pests. It is essential, however, to use them properly. What this means is that the trap won’t do you any good (or the roach any harm) if you put it in the wrong spot. These bait traps are best places near the trashcan, in the pantry or under the sink. They are not going to harm food stored close by, but should be kept away from kids and pets. This is not because they are going to poison children and pets ( in fact, the poison is not strong enough), but oftentimes, the bait stations break and children or pets put the broken plastic pieces in their mouths and may choke on it. Despite its effectiveness, the popularity of bait stations is declining in Chandler and many homeowners are turning to gel baits instead. Because bait guns are too pricey for the regular homeowner, the disposable syringe is the most commonly used way of applying bait gels. And it is very economical too. A syringe generally is enough to bait your entire Chandler home for a moderate cockroach infestation. This is the least popular form of home cockroach bait, but are very popular with the professional cockroach eliminators. Granules are suitable for crawl spaces, outdoor use, attics and basements. Expert tip: Don’t use roach repellent spray in conjunction with bait traps. While it seem to make perfect sense, it will repel the cockroaches and actually prevent them from being attracted to the bait trap. Boric acid is probably the best known DIY cockroach remedy and has been around for decades. It can be highly efficient in getting rid of cockroaches, if you do it right. When using boric acid or borax (which are not the same thing, but similar and yield the same results), you should only lightly dust the area where the cockroaches are suspected to be. Sadly, they are not stupid and if you can see the powder, so can your cockroaches. The powder destroys their exoskeleton and when they clean themselves of afterwards, it will also poison them from the inside out. Don’t get it wet, it will make it less effective and keep it away from your kids, pets, and food, because it can be toxic for humans and pets, as well. However, you can use it together with bait traps without problem. 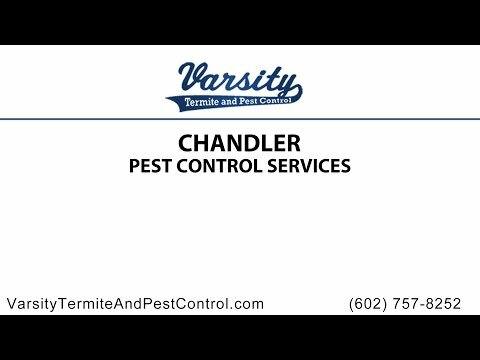 For the best and most effective cockroach remedy contact your Chandler pest control expert. Varsity Termite and Pest Control has been fighting cockroaches successfully for years. And we will keep them from coming back, too. To learn more about our comprehensive pest control services or to schedule a free home inspection, contact us today.